The Carnival Freedom has come to the rescue of a sinking raft just of the coast of Florida. 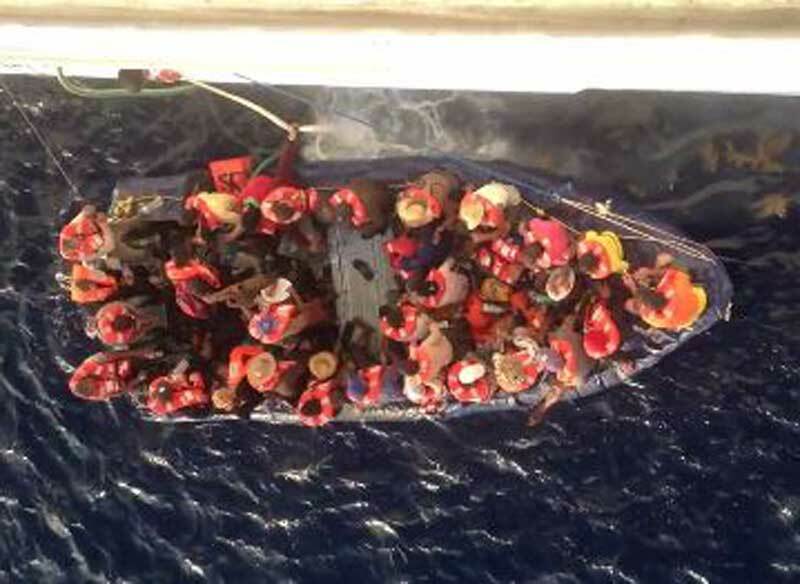 The raft had 29 refugees onboard from Haiti. While the large Carnival cruise ship was sailing back to its homeport in Fort Lauderdale, Florida it encountered a sinking boat full of refugees. Several passengers onboard the Carnival Freedom have posted videos and photos as the events unfolded. Texas state representative Matt Schaefer was actually cruising on the ship at the time and also witnessed as the Carnival Freedom assisted with help. Last evening while Carnival Freedom was en route back to its home port of Fort Lauderdale the ship was alerted by the United States Coast Guard (USCG) about a vessel in distress with 29 people on board. As part of a longstanding maritime tradition of assisting mariners at sea, Carnival Freedom deviated course to assist the vessel in distress until a USCG cutter arrived on site. Carnival Freedom was released by the USCG and then proceeded to Fort Lauderdale where it arrived this morning as scheduled. The ship will depart on an eight day cruise later this afternoon. Carnival Freedom operates five to eight day cruises from Fort Lauderdale and will reposition to Galveston Texas in February to launch year round seven day cruises from that port. Once the US Coast Guard arrived the Carnival Freedom continued sailing back to port and arrived on Sunday in Fort Lauderdale with no delays.